The students listed below have received their final year of funding from ARCS Foundation. They have not quite completed their research projects and theses and have at least one to three more years before they complete their PhD programs. We stay in touch with our students and invite them to all our events. And when the time comes, we look forward to attending their dissertation defenses. After Minnesota ARCS Scholars receive their PhDs, the students become ARCS Alums. Minnesota ARCS Alums are making their mark in the scientific world with post-doctoral positions. They are advancing health care, science and technology to improve the human condition in fields of research that include asthma, cancer, cardiovascular treatment, neurodegenerative disorders, environmental issues, and computer science. We are proud of their accomplishments. Learn what these talented students are doing now, by clicking the links below. calling all Minnesota Chapter Scholar Alums, We’d Like to Hear from You! If you are an ARCS Scholar from the Minnesota Chapter, we would love to hear from you. You are a vital part of our mission. Your stories and accomplishments encourage our current scholars as well as help us attract new funding for future scholars. We maintain contact with all of our alumni scholars and follow their progress throughout their careers, celebrating their achievements and publicizing their work. Stay connected with the Minnesota Chapter members by updating your profile by navigating to the Member & Scholar Login. We want to hear about your accomplishments, recognition, and career path. If you need help, email us at info@minnesota.arcsfoundation.org. Amanda received PhD January, 2019. 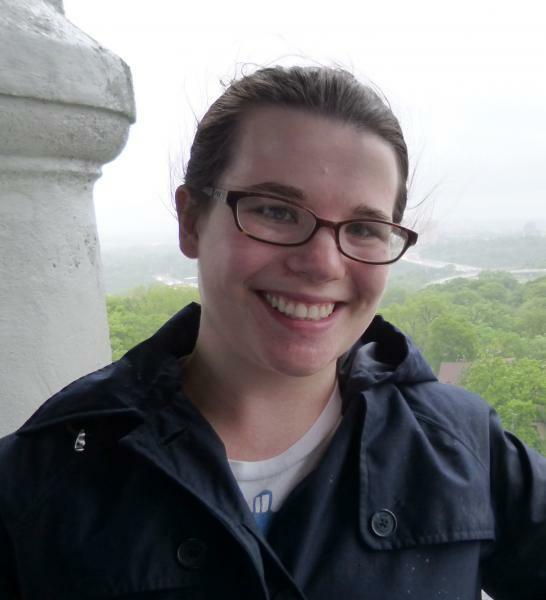 Amanda was a graduate student in the Biochemistry, Molecular Biology, and Biophysics (BMBB) department at the University of Minnesota-Twin Cities. She works under Dr. Wendy Ryan Gordon, where she studies how cells sense and respond to mechanical force. Amanda is studing a protein that bridges between the outside and the inside of a muscle cell. Without this connection, muscular distrophy arises. The protein houses an enzyme that acts like molecular scissors, and it is hypothesized that this enzyme may contribute to muscular dystrophy. This work may increase our understanding of muscular mechanisms at the cellular level, which could lead to new therapeutic treatments for muscular dystrophy. 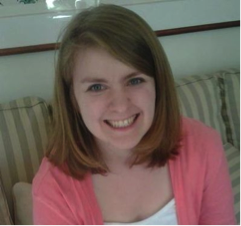 Amanda’s research interests include X-ray crystallography, biochemistry, and biophysics. to apply her new skills. Early attendance in her career has a two-fold benefit: it allows her to get feedback on her work when it can have the most impact and it gives her experience presenting. In 2017, Amanda was recognized for her teaching skills with an Award for Outstanding Performance as a Teaching Assistant for the University of Minnesota College of Biological Sciences. Amanda received her B.S. in Biochemistry from University of Illinois-Champaign Urbana. She strives to inspire young scientists and is very appreciative to the ARCS foundation for assisting in this goal. When she isn’t in the lab, she enjoys reading, running, and playing computer games. 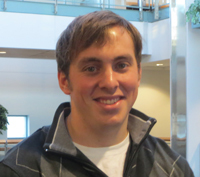 Chris Korenczuk is a Ph.D. student at the University of Minnesota in the Department of Biomedical Engineering. Since the completion of his B.S. in Biomedical Engineering at Rutgers University, he began his graduate work in the lab of Dr. Victor Barocas, studying soft tissue mechanics. His research focuses on studying the failure mechanics of ascending thoracic aortic aneurysms through experimental testing and computational modeling. The results of this research look to provide better mechanical characterization and stronger failure criteria for ascending thoracic aortic aneurysms, which are currently not well understood. Chris looks to pursue a research career concentrating on soft tissue mechanics, particularly the cardiovascular system. He is immensely grateful for the support the ARCS fellowship will provide in helping him develop and grow as a researcher. In his spare time, Chris enjoys playing hockey, reading, and cooking. 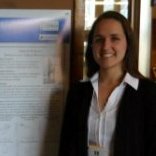 Elizabeth Annoni is a Ph.D candidate under Dr. Anna Talkachova at the University of Minnesota in the Department of Biomedical Engineering. 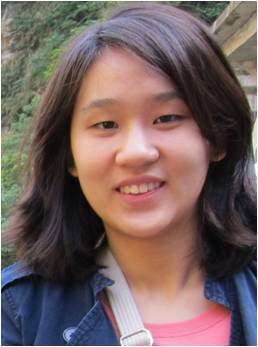 Her research interests include cardiac electrophysiology and neuromodulaion. Her research evaluates the use of vagus nerve stimulation as a novel therapy for hypertension and hypertension-induced heart disease, with an emphasis on studying the heart's electrophysiological properties. During the summer of 2017, Beth interned at Boston Scientific in the Corporate Research group. In May of 2017, Beth was awarded tche prestigious Doctoral Dissertation Fellowship for the 2017-2018 academic year by the University of Minnesota. Beth is excited to be studying a disease state, like hypertension. She is learning ways to develop new therapies, and understanding the mechanisms through which they work. Hypertension is a very prevalent disease and this work could provide a new therapy for patients that could ultimately improve their lives. 1n 2014, Beth graduated from the University of St. Thomas with a BS in Electrical Engineering and a BA in Physics. In her free time, she volunteers at Open Arms to prepare and package food for indivduals who are ill, as well as their caregivers and children. Beth is using the ARCS Scholar Award to attend scientific conferences where she presents her research. She says, "Without ARCS, the opportunities to travel, network, and discuss research would not be possible." With a M.S. degree in Biomedical engineering from Purdue University in 2014, Mark is pursuing his Ph.D studies at the University of Minnesota. His desired area of research is neuorengineering and the development of neural prosthetic devices. His research focus is improvement of quality of life by combining ideas from engineering and classical biology and physiology. His research investigates the connections and function of the descending cortical network on ascending auditory processing and learning. 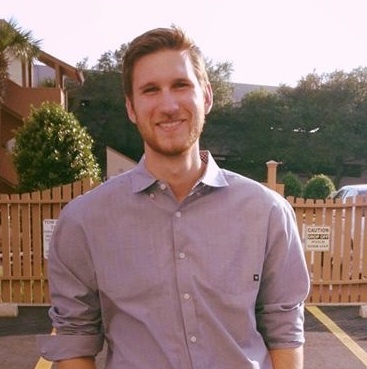 His research also seeks to develop and optimize ultrasound stimulation of the descending cortical network to develop new strategies for treatment of tinnitus (ringing in the ear) or hyperacusis (sound sensitivity)..
Mark is excited to work in an area of research with the potential to help many people. The outcome could change the way some neurological disordersare treated. Mark is using the ARCS Scholar Award to help grade school children get programming experience. Kianna Gedwillo is a PhD student in the Biomedical Engineering program at the University of Minnesota. She graduated with a B.S. in Chemical Engineering with a minor in Biology from Iowa State University in 2012. It was here that she reconciled her engineering background with a profound interest in medicine, and made the decision to pursue biomedical engineering. Kianna works with Dr. Paolo Provenzano, and her research is focused on characterizing the microenvironment of pancreatic cancer, the fourth-leading cause of cancer-related death. Existing treatment options for this disease have limited efficacy, due to the unique microenvironment of pancreatic cancer. Kianna's research is aimed at improving efficacy of drug delivery to these tumors through targeting of microenvironmental factors produced by pancreatic stellate cells (PSCs). PSCs are responsible for excessive collagen deposition and contractility that contribute to the grossly elevated intratumoral pressure characteristic of pancreatic cancer. By understanding the unique challenges facing small molecule delivery to pancreatic tumors and subsequent distribution within the tumors, Kianna hopes to develop novel therapeutic strategies to combat this devastating disease. Kianna is very grateful for the opportunity to be an ARCS scholar and for the financial support it provides for her and her research. She is excited to be a part of this valuable foundation with a rich history of celebrating scientific effort across a wide variety of fields and a diverse group of people. When not doing research or schoolwork, Kianna enjoys playing ultimate frisbee, reading, spending time with friends, eating good food, and especially dancing. Ben grew up in the Seattle suburbs, received his B.A. in mathematics from Pomona College in 2009, and taught high school math and science before beginning his graduate studies in 2012. Ben has used some of the ARCS Scholar Award funds to move closer to UMN campus, which meant he had more time to spend in the lab. Amy Hauck recieved her Ph.D in the fall of 2017. She is now doing post-doctoral research at the University of Pennsylvania. Amy worked in the laboratory of Dr. David Bernlohr in the Department of Molecular Biology, Biochemistry, and Biophysics (BMBB) at the University of Minnesota, Twin Cities. Amy's research aimed to understand the molecular mechanisms that connect diet and obesity to the development of metabolic disease. She studied the role that adipose (or fat tissue) plays in this process. The goal is slowing or preventing the development of insulin resistance in obesity, a precursor to diabetes. Amy is excited to be working on a project with the potential for positive impact on human health. If successful, molecular understanding has the potential to identify new and better drug targets to slow or prevent the onset of disease. Amy received her BA in biology from the University of San Diego. Shortly thereafter Amy moved back to her home state of Minnesota where she worked for two years as a junior scientist at the University of Minnesota Genomics Core before she began her graduate studies in the Bernlohr laboratory. The ARCS Scholar Award has helped Amy with her research, and allowed her to attend an international conference at which she shared her work in an oral presentation. 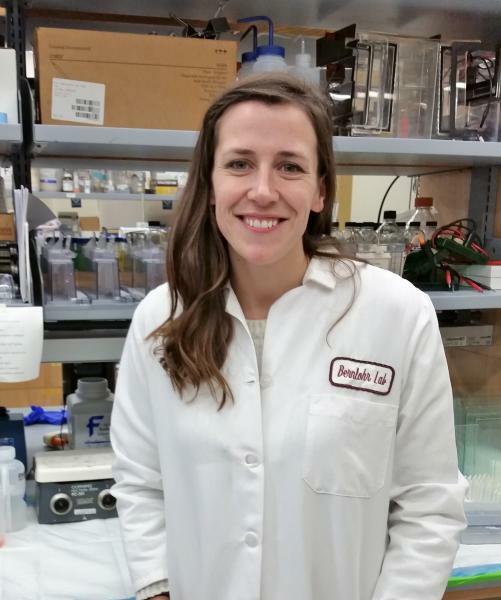 Jackie McCourt defended her PhD dissertation at the University of Minnesota in the department of Biochemistry, Molecular Biology, and Biophysics in 2017. She is currently doing post-doctoral research at University of California, Los Angeles. She received a B.S. in 2010 from Azusa Pacific University in southern California where she studied Biochemistry and developed a love of proteins. Before pursuing her graduate career at the U, she worked at a small DNA sequencing company in Los Angeles where she gained invaluable experience and perspective in the field of personalized medicine. At the U, she returned to her passion for proteins in the lab of Dr. James Ervasti studying the biophysical properties of the protein dystrophin and its role in Duchenne Muscular Dystrophy (DMD). She studies the biophysical consequences of sequence mutations and deletions on the stability of dystrophin and the implications these changes have on the development of current gene therapies for DMD. Jackie is driven to develop both her research and teaching skills here at the U and pursue a career as a professor in order to inspire and train young scientists, as her professors have inspired her. She is very grateful to the ARCS foundation for its generosity and commitment to supporting students like her. When she isn’t in the lab or studying for classes, she enjoys reading, biking, music, watching basketball, and hanging out with her family. Nessa Johnson recieved her PhD In 2017. She studied under Dr. Bin He in the biomedical engineering graduate program. Nessa received a B.S. in Mechanical Engineering from the University of St. Thomas in 2009, and a MS in Mechanical Engineering from the University of St. Thomas in 2010. 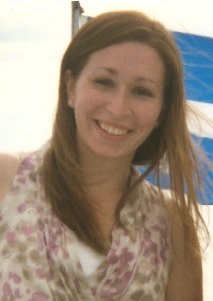 Nessa has recently taken a position as a Clinical Research Scientist II at Abbott in Plymouth, MN. She is working in the area of cardiac diagnostics. Her research at UMN evaluated the feasibility and applicability of combining transcranial magnetic stimulation (TMS) along with neuroimaging (MRI and EEG) and brain-based games (Brain Computer Interfaces) to improve motor recovery after a stroke. Her research combined brain stimulation with brain- based games to retrain the stroke hemisphere to generate activity and, hopefully, improve hand function in the process. TMS is a non-invasive neuroimaging and neuromodulation technique that uses brief pulses of electricity through a coil of wire placed next to the scalp to create pulses of magnetic energy that induce focal electric fields inside the brain. These electric fields modulate local neural activity, either inhibiting or facilitating the firing of neurons in that region depending on the time-course of stimulation and the specific neural population. Repetitive TMS can induce plasticity within selected brain regions, and has been investigated as a treatment for a variety of neurological disorders. Nessa worked to use MRI and EEG imaging combined with TMS to evaluate brain connectivity and network behavior in healthy human subjects. 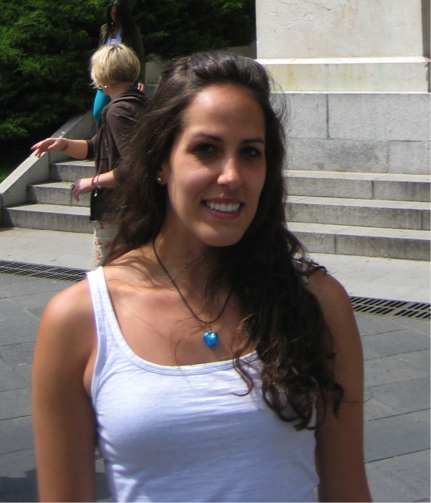 Her interests also extend to other neuroimaging research topics, including EEG source localization for epilepsy and multimodal EEG and fMRI neuroimaging techniques. When asked about receiving the ARCS fellowship, Nessa replied: "This means a significant amount to me both personally and financially. I am honored to have been selected to as a recipient of this fellowship as a formal recognition of my academic achievements. As a woman in engineering, I also feel privileged to be supported by a foundation comprised of professional women committed to advancing science and engineering. In addition to helping ease the financial burden associated with my graduate education, the ARCS fellowship will provide me with the financial freedom to attend national conferences focused on neuroimaging and neuromodulation technologies. Attending such conferences will expand my exposure to the latest developments within my field and allow me to meet and collaborate with field experts, both of which will help me further my own research. Without the financial support from the ARCS fellowship, I may not have had the opportunity to pursue such experiences." In her free time, Nessa enjoys cooking and especially baking. She enjoys watching cooking shows on the Food Network and, after recently taking an introductory cake decorating class, she has developed an interest in creating themed cakes for her friends. She also enjoys running, reading, and spending time outside enjoying the Minneapolis lakes. During his graduate studies at UMN, he designed deployment schemes for autonomous watercraft to monitor lakes for invasive carp. Invasive carp dominate local ecosystems, overwhelming native fish, destroying plant life, and causing serious damage to water quality. Poisoning or quarantining waterways is controversial and potentially damaging. Instead, biologists have begun placing radio-transmitters on the carp to identify where groups of carp tend to linger. In these areas, simple netting can remove over 90 percent of carp populations from lakes. However, localizing radio-tagged fish is a time-intensive process for humans; to monitor many lakes or larger lakes would require too many man-hours to be affordable. Josh comments, "What separates these exciting new opportunities from past applications of robotics is their unstructured nature: Inside we can control the environment; outside, we cannot. What drives my research is the development of planning algorithms to enable mobile robots to work in unpredictable environments. It is a privilege to work on cutting-edge research which has a very useful application in my own community." 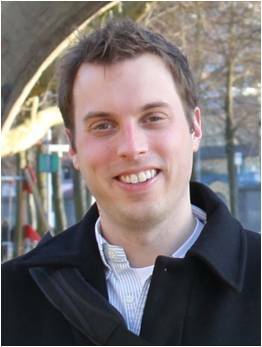 Greg LeFevre received his PhD in 2012 and his MS in 2009 from the Environmental Engineering Program in the Department of Civil Engineering at the University of Minnesota. He completed a BS in Environmental Engineering at Michigan Technological University in 2006. Following his PhD, Greg was a Postdoctoral Scholar Environmental Engineering & Sciences at Stanford University, working in the NSF Research Center for Re-Inventing the Nation’s Urban Water Infrastructure (ReNUWIt). Greg is currently Assistent Professor of Civil and Environmental Engineering at the University of Iowa, where he holds the additional titles of Assistant Faculty Research Engineer, Iowa Institute of Hydraulic Rresearch - Hydroscience & Engineering; Researcher, Center for Biocatalysis and Bioprocessing; and Researcher, Center for Global & Regional Environmental Research. Non-point source pollutants are the leading cause of water quality degradation. Greg's research focuses on the fundamental mechanisms related to the microbial and vegetative biotransformation of emerging contaminants in aquatic environments. His work informs understanding of contaminant fate and the optimization of resilient water infrastructure through sustainable natural systems-based treatment technologies to improve water quality for ecosystem and human health. His PhD thesis work focused on the fate and biodegradation of stormwater petroleum hydrocarbons in bioretention areas, such as raingardens. Before graduate school, Greg worked as an environmental engineer for the Indian Health Service in the Four Corners region, and also for three non-profits: Citizens For Conservation, Friends of the Teton River, and the World Wildlife Fund. Internationally, he participated in a groundwater exploration for drinking water development in Nicaragua, was a research aide tracking brown hyenas in South Africa, and was selected as one of twelve American participants for the 2011 US-European Commission Short-Course on Environmental Biotechnology in Switzerland. At UMN, Greg was a Graduate Research Fellow of the National Science Foundation and NSF IGERT Trainee, a U of M Graduate School Fellow, a Morris K. Udall Scholar, and a World Wildlife Fund Scholar. Greg enjoys the outdoors and also spends time volunteering as a habitat restoration crew leader for the National Park Service. The ARCS Foundation award and support was accepted with extreme gratitude to the Foundation and those who continue to make its work possible; this allowed him to continue his dream of working in the field of environmental research with the goals of advancing science and improving the environment. Coty Jen recieved her PhD in Mechanical Engineering at the University of Minnesota-Twin Cities in 2015, following her MSc in Chemical Engineering in 2013. She received her BS in Chemical Engineering at Columbia University in 2010. 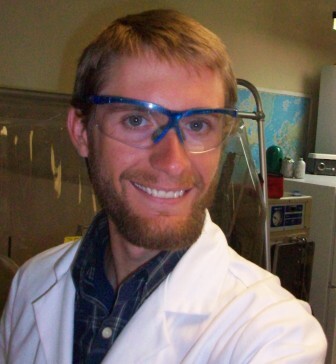 Coty is currently a NSF ADC Postdoctoral Fellow in the Department of Envirtonmental Science, Policy, and Management at University of California - Berkeley. Coty's postdoctoral research is focused in molecular-level speciation of aerosol particles using two-dimensional gas chromatography coupled to electron impact or vacuum ultra violet high resolution time of flight mass spectrometer. She is currently examining organic carbon and organic nitrogen species of biomass burning particles from a wide variety of woods and grasses at various stages of decomposition for specific fuel type tracers. In addition, oxidized samples of biomass burning emissions are being analyzed to identify tracers linked to specific stages of atmospheric oxidation. During her time in New York City, Coty developed a love for world cuisines, Broadway musicals, operas, symphonies, plays, museums, and chocolates. Her interests expanded to include canoeing, hiking, and fishing in Minneapolis. Coty spends the rest of her free time reading books, traveling around the world, and cooking. 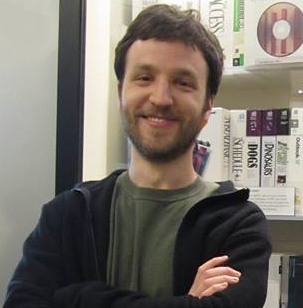 Justin Levandoski received his PhD in Computer Science from the University of Minnesota in 2011, where he was a Graduate School Fellow and recipeint of the ARCS Scholar Award. In August of 2011, he joined the database group at Microsoft Research. He is interested in a broad range of topics dealing with large-scale data management systems. His current interests include main-memory databases, database support for new hardware platforms, document-oriented databases, transaction processing, cloud computing, and support for new data-intensive applications, such as social/recommender systems. My research has been commercialized in a number of Microsoft products, including the SQL Server Hekaton main-memory database engine, Azure DocumentDB, and Bing. He is an associate editor for IEEE TKDE and has served as area chair for SIGMOD 2016 and ICDE 2016. Justin's thesis proposed the CareDB database system, focusing on efficient algorithms and query optimization issues for embedding preference and context-aware operators inside the core engine of a relational database. Justin has also published work in the area of non-blocking join algorithms and RDF data management. During two internships at Microsoft Research, Justin worked on enabling full ACID transaction support for cloud computing environments as part of the Deuteronomy project. In addition to a PhD, Justin holds a BA in Computer Science from Carleton College in Northfield, MN, and an MS in Computer Science from the University of Minnesota.